Location is everything and with Springville expanding, this location is a great option for you to take advantage of for your business. All wooded and there is a road entering and going through this property along with another one on the opposite side of the property that would need to be cleared up again. This location is across from the High School and so close to Walmart. 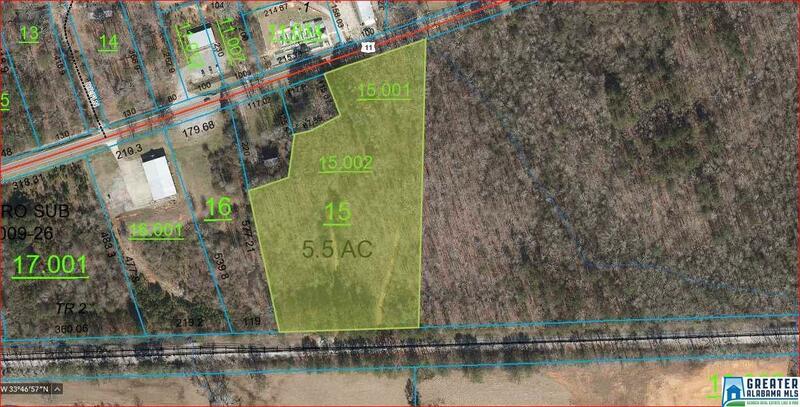 Go by and take a look at this land and see if it will work for your business site. Listing provided courtesy of The Real Estate Group, Inc.. © 2019 Greater Alabama Multiple Listing Service, Inc.